There’s a bottle of Guerlain Vol de Nuit on the protagonist’s bathroom shelf. 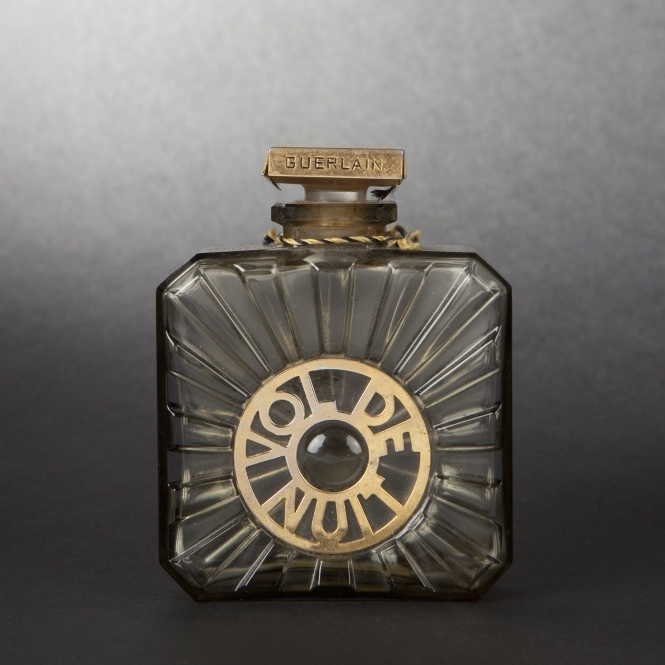 Phaedra (Melina Mercouri), who falls in love with her stepson (Anthony Perkins), is a rich and bored woman, so it’s no wonder she uses this perfume. Vol de Nuit, created by Jacques Guerlain in 1933, is not the ubiquitous Shalimar or Mitsouko, but has a special charm, also related to its source of inspiration – Antoine de Saint-Exupery’s novel with the same name, published in 1931. The aviation theme of the name can be found in the flacon rayonnant, resembling a moving aircraft propeller.